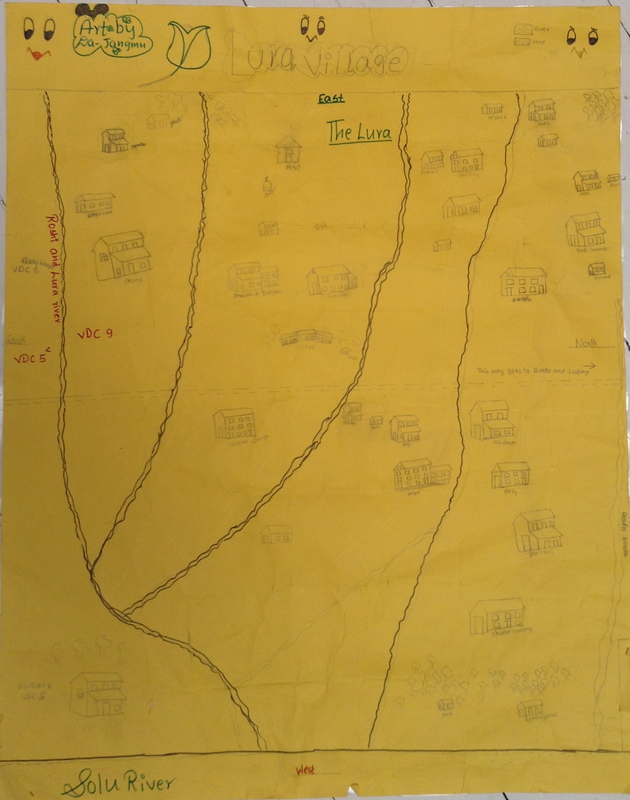 Lura Village, by my niece Da Jangmu. part of the data collection for community ecologic economic development. Knot in the stomach. There has been another earthquake in Nepal, then another, this time both much closer to home: Lura. No direct news yet, just second hand information, devastating. From Soren: “Still haven’t spoken with Lakpa so this is not yet confirmed but heard from Satish and news are not good. People sleeping outside, need tents and tarps. Soren is looking at doing a quick run to Lura to deliver supplies. Lura is a poor village of subsistence farmers, just like so many others in the middle hills of Nepal. Except this one is special to me. It is my home in Nepal, it is the home of my brother Lakpa’s family, it is my community, where I got married, where I ve celebrated the birth of a new niece, where I found the meaning of duty, a loving duty that forever ties me to that joyous, courageous and hard working bunch of people. Our thoughts are with all the people of Nepal, donate and help the rebuild.